1This is not a critical parameter. 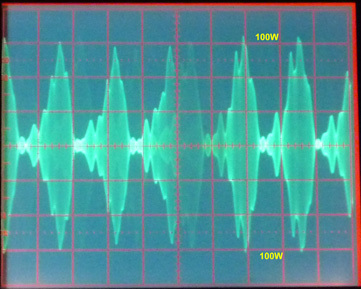 Any oscilloscope with sufficient vertical bandwidth to display the RF envelope is usable. 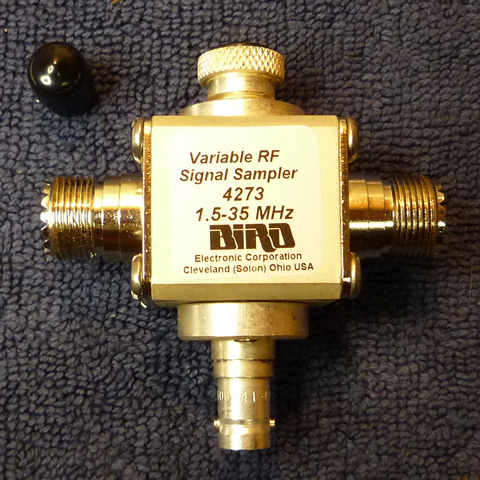 2The Bird Model 4273 is a wide range device that provides a variable, unrectified signal at about -40 to -70 dBc ± 5 dB from 2-35 MHz. 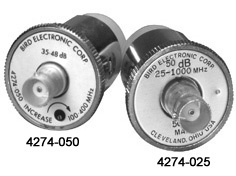 3The Bird Model 4274-025 is a wide range device that provides an unrectified signal at about -50 dBc ± 2 dB from 25-1000 MHz tapering to -66 dBc at 2 MHz.